As stitchers, we are happiest when we are surrounded by the threads we love (and chocolate). 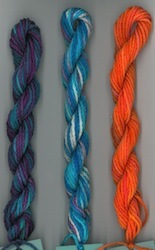 Our thread stash is always a great source of inspiration. 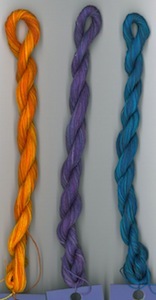 The Thread Collector Clubs provide an opportunity to gradually build up a supply of all the colors of your favorite threads. 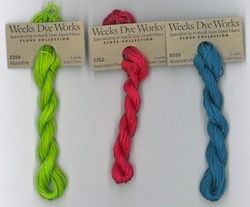 Each month, club members receive a new thread package and the club continues until you have all available colors! Click here to return to Threads page.